Various plug-in electric car models compete on the market, but the top three battery suppliers remains the same as last year. 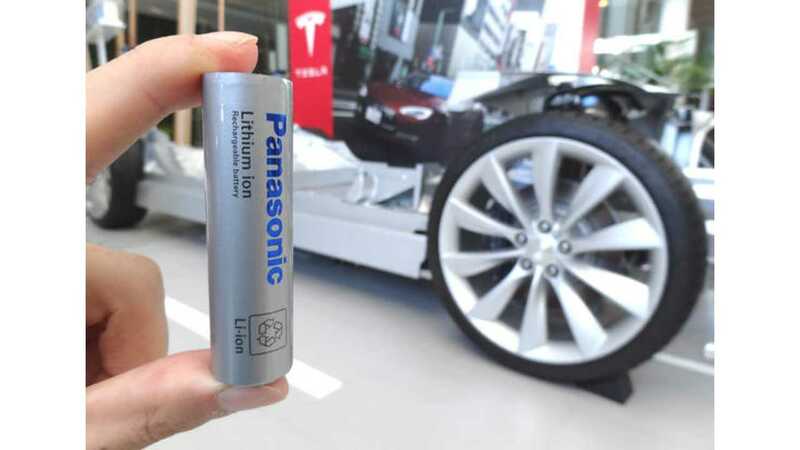 Worldwide, EV car sales increased by around 58% last year, but new models often gets higher capacity battery packs, so the battery market is growing faster. 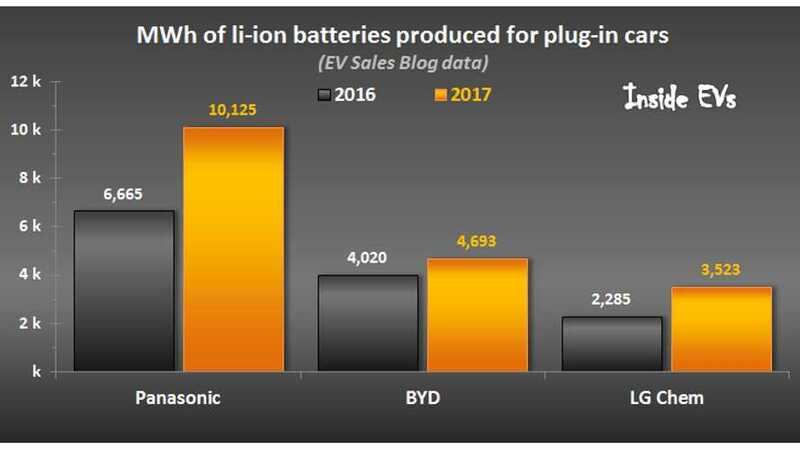 In 2017, nearly 35,000 MWh of batteries were supplied for plug-in cars alone, which is 70% more than one year ago (all numbers are estimated). Panasonic, as the first to exceed 10,000 MWh, grew by some 52%. BYD had a hard year, while LG Chem went up strong by 54%. There is also CALB mentioned by EV Sales Blog, right behind LG Chem. There is no doubt that Panasonic will remain #1 asthe Tesla Model 3 takes off. We need to add that batteries for commercial plug-ins like trucks and buses, especially in China, are not included. EV Sales Blog estimates that it could be more than 40,000 MWh of additional capacity (CATL 12 GWh, BYD 8.4 GWh and Optimum 6.7 GWh).